I was reaching into my garage refrigerator this evening after working in the yard to get a cold beverage. These lovely blue & yellow boxes caught my eye. Reminded me that I have about 25 packs of Kodak slide film ready for use. I think this weekend I'll grab a box & give it a go. It's been YEARS since I've shot slide film, but I do have an E-6 chemistry kit. 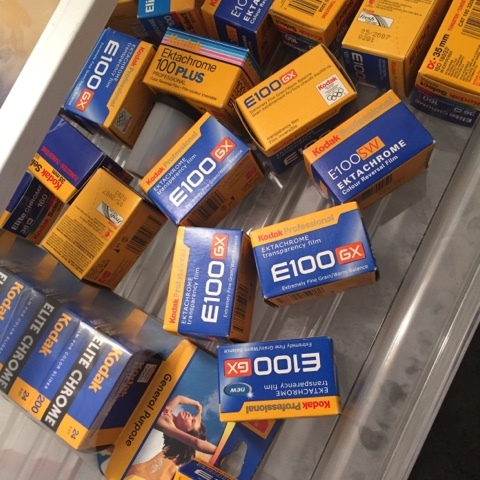 Therefore I can develop the film at home. Could be fun.